This also came on a day when the Congress president Rahul Gandhi promised a minimum income guarantee for the poor if voted to power in the upcoming elections. The interim finance minister, who met top bankers on Monday, said, "Bankers held internal deliberations on various aspects of the functioning of PSBs... They discussed and deliberated on various measures to support the MSME sector, particularly, small traders, businesses and business owner at remote locations. They also discussed various measures to support finance for housing to homeowners." In the day-long meeting that stretched into the evening, bankers chalked out ways to ensure better loan recoveries and easy credit disbursal. 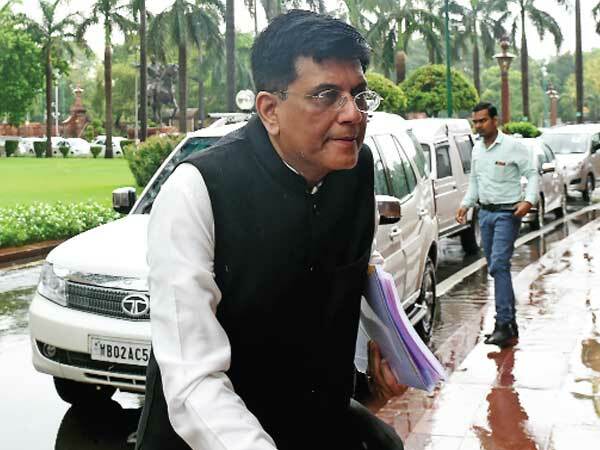 Under this, Goyal said banks reviewed measures to recover non-performing loans, including in cases under the Insolvency and Bankruptcy Code (IBC) and the National Company Law Tribunal (NCLT). The IBC was introduced in 2016 as the "last option" for recovering loans when "all other options fail". Earlier, Reserve Bank governor Shaktikanta Das, who also attended the PSU review meeting, asked the banks to use the MSME recast scheme to support viable units and flagged the need for PSBs to give credit and at the same time observe prudential norms. “Basically, the idea was to convey to them the regulator's expectation from the banking sector in general and public sector banks in particular, and also to get from them their understanding of the current banking situation, and to get an understanding about the future outlook, the sense they have," Das said after meeting the bank chiefs. Rajiv Kumar, secretary in the Department of Financial Services, expects the recoveries through IBC to be close to Rs 1.8 lakh crore during FY19. So far, since 2015, loans worth Rs 2.8 lakh crore have been recovered. This includes Rs one lakh crore recovered this fiscal. Stressing more on credit disbursal and easy financing necessities, Sunil Mehta, managing director and chief executive officer of Punjab National Bank, said, the review meeting focused on "how the recoveries can be improved as well as (improving) our credit delivery system." "It was a review meeting to discuss day to day issues and challenges of PSBs, how to give boost to Pradhan Mantri Awas Yojana and giving thrust to MSMEs," Mehta said while adding there was an overall review of the IBC framework, detailed discussion on credit delivery & recovery system. No new concerns have been raised with the RBI. In early January, RBI had allowed one-time restructuring of MSME loans up to Rs 25 crore and under the standard category as of January 1, 2019, despite having defaulted on payment. On the possibility of PCA banks coming out of the framework, Goyal advised them to maintain improvement with a view to bring them out of PCA framework at the earliest. Bank of India on Monday brought down its net NPA to below 6 per cent, a key criteria to come out of PCA framework and it is now left to RBI to consider this, an official said. Goyal expressed confidence that the sector will see a far profitable & better banking system and said after amendments to the Prevention of Corruption Act, genuine commercial decisions taken by bankers will be protected. The meeting assumes significance as it comes just three days ahead of the interim budget 2019-20, the last from this government before the general elections expected to be held in April-May.